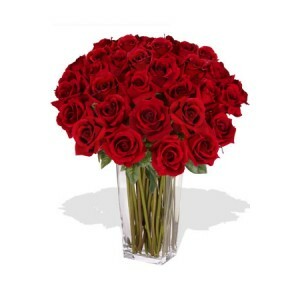 This fantastic bouquet of 36 premium long stem deep Red Roses is a wonderful expression of love. Send Michelle to your loved one today. The vase in the image is not included in the price, however for a lasting impression we recommend you consider including one. There are 3 vase options to choose from; standard, premium and superior however for 36 roses, we recommend the Superior Vase.